I am back at the cottage and I have a full weekend planned...how about you? Today I am playing at several challenge sites with this card. How cute would this be for a first time teacher or a secret pal? 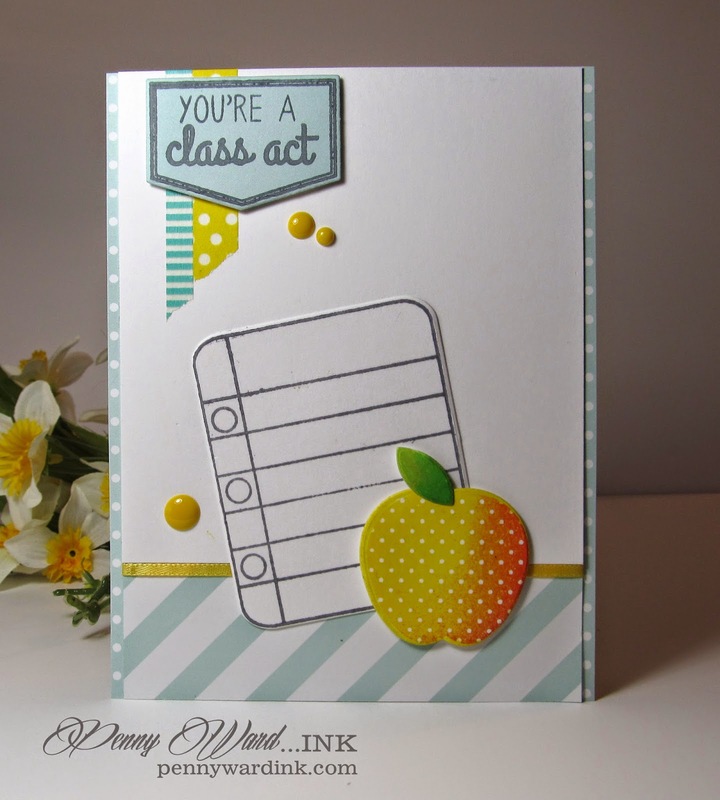 The colors were inspired by Curtain Call, stripes for CASology (I am going with it being Clean And Simple because it is just a matter of adding die cuts to the card :) ) and the theme is back to school for Lawnscaping. It's Friday and I want to welcome a few newbies to the blog this week. Thanks for the wonderful kudos I received from you...they always make my day! 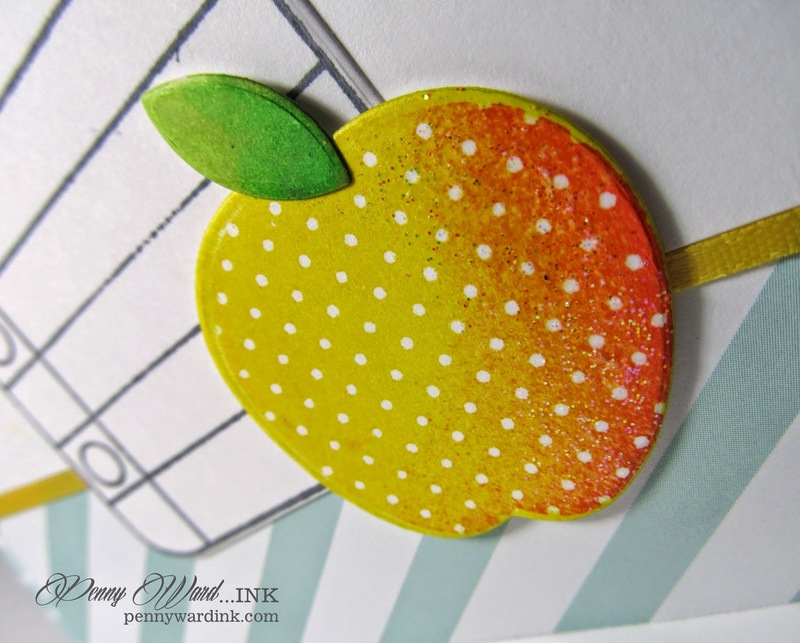 Beautiful back to school card! Love the shading on the apple! Thanks for linking up to the Curtain Call! Very cute card, and I like the stripes. Thanks so much for playing along at CASology this week. Adorable card! I love the color combination as well! Thank you so much for the shout out, that was so sweet of you! Fantastic card card Penny! Thank you so much for sharing with us at CASology! I am so in love with this card - I adore all things school & teaching!! I should have been a teacher - This card would be awesome for anyone going back to school as a teacher or as a student!! You always make the coolest cards!! !